Gomez’s sun-splashed kitchen garden is home to more than 40 plants—many of which end up in her dishes. Chef Asha Gomez has an open-door policy at her Decatur home. “My door is never locked. Neighbors walking their dogs see me in my kitchen window and ask if they can come in for some chai,” she says with a smile. On the menu? Everything from Italian to Greek to Moroccan food. Many dishes test recipes for her forthcoming second cookbook, tentatively titled Colorful: The Global World through My Kitchen. 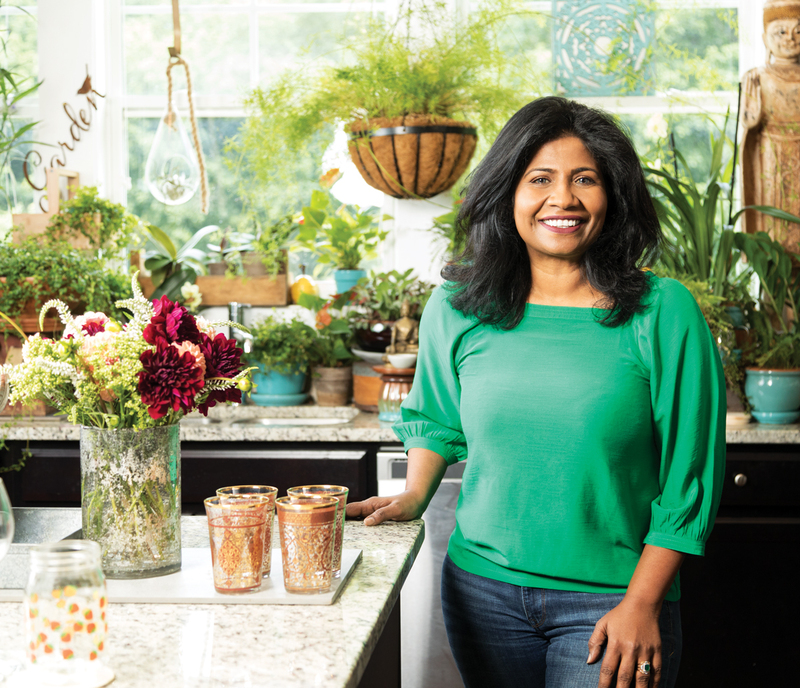 Her first cookbook, My Two Souths: Blending the Flavors of India into a Southern Kitchen, won a James Beard Award nomination in 2017. Still, proud signs of her heritage abound, from the large cabinet housing her signature spices to her mother’s china and her beloved mortar and pestle. “So many immigrant chefs today, including me, cook from global influences. In this tumultuous time, I want my kitchen to be a place where the community comes together and sees no borders,” she explains. I love roasting a bird and serving it with stuffing made from scratch, potatoes, that sort of thing. I really like wholesome, all-American meals. My son [Ethan, 13] and I listen to a lot of Bollywood, Willie Nelson, and ’80s rock. If I’m by myself, it’s Cesária Évora. Definitely my mortar and pestle. 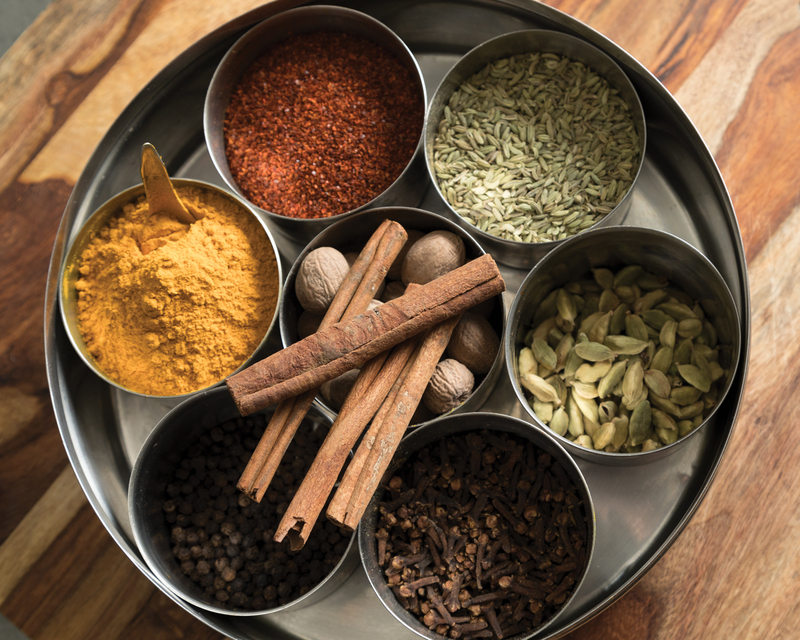 I can’t make my chai without my spices. President Obama. I would love to hear his perspective on what’s gone on in our country since he left office. Before dinner, a nice, rich cab, some of which goes into what I’m cooking. After dinner, bourbon. 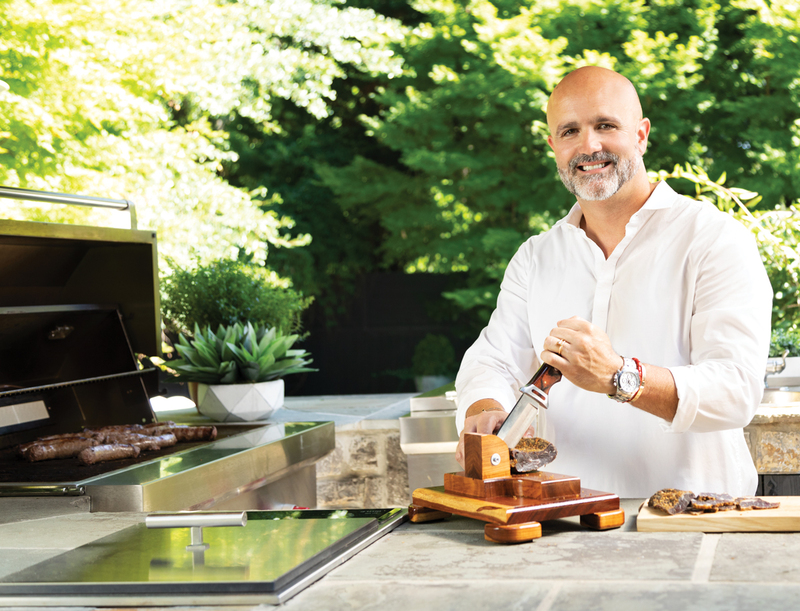 Anthony is known for his South African–style jerky, the focus of his Ponce City Market restaurant, Biltong Bar. When a restaurateur and an interior designer get together, you know you’ll envy the kitchen. But Justin Anthony of the South African–inspired True Story Brands (10 Degrees South, Cape Dutch, Yebo Beach Haus, Biltong Bar) and Kelly Wolf-Anthony of Wolf Design Group prefer to cook outside on the verdant veranda. When they purchased their Buckhead home last year, they were searching for an intown escape that felt like a retreat. “For a long time, we had a condo in Florida and a place at Lake Lanier, and while we liked both homes, we didn’t like the hassle involved in getting to them,” explains Wolf-Anthony. So, the couple ditched their vacation homes and invested in their current residence, a former hunting lodge built in 1945 turned contemporary five-bedroom, 4.5-bath, 7,000-plus-square-foot home. 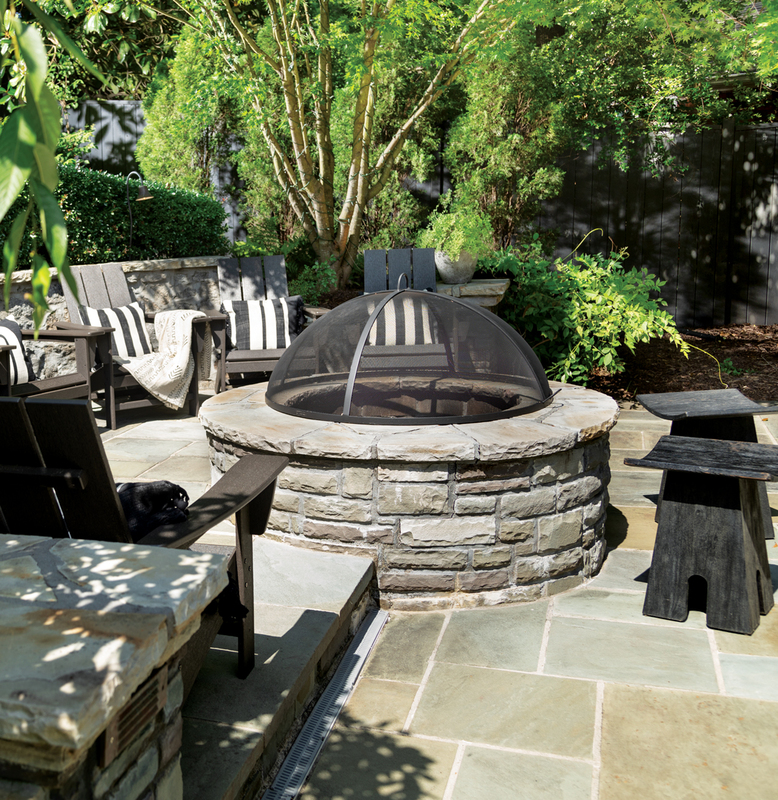 Michael Ladisic of Ladisic Fine Homes helped the couple realize their vision of a home equal parts urban hideaway and entertaining hub. The residence’s terrace level is devoted to entertaining, with a 1,000-bottle wine cellar and an in-home theater where the former professional soccer player now watches his adopted home team, Atlanta United. Newly installed glass windows and doors let in natural light while showcasing the backyard’s lush landscaping, and guests often spill onto the veranda, where the duo built a portico that houses a firepit, a Big Green Egg, a Sub-Zero Grill, and their favorite: the Kudu, a Georgia-made grill similar to the braais (pronounced “bry-s”) of Anthony’s native South Africa. Grilling is Anthony’s favorite way to cook. 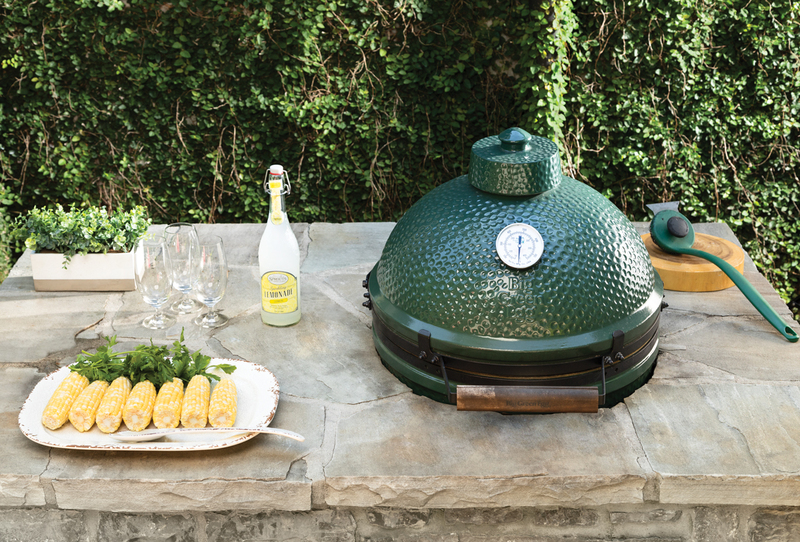 The veranda features a Sub-Zero grill, a Kudu, and a Big Green Egg. Anthony and his wife, Kelly, try to take off work on Sundays to host friends on their veranda. Peri-Peri Chicken in the braai—it tastes like home. Fleetwood Mac. I love “Dreams” from the Rumours album. The Kudu grill, made in Macon, makes a great braai. It’s cast iron, and there’s no top or lid, so you’re constantly cooking over an open flame. King of Clubs, Napa Valley Cabernet. It’s big, bold, and smooth with the perfect balance. Ford’s home kitchen has an airy, modern farmhouse vibe. When Ford Fry and his wife, Stacy, built their New Orleans–inspired home in Roswell in 2015, the kitchen was their number-one priority. 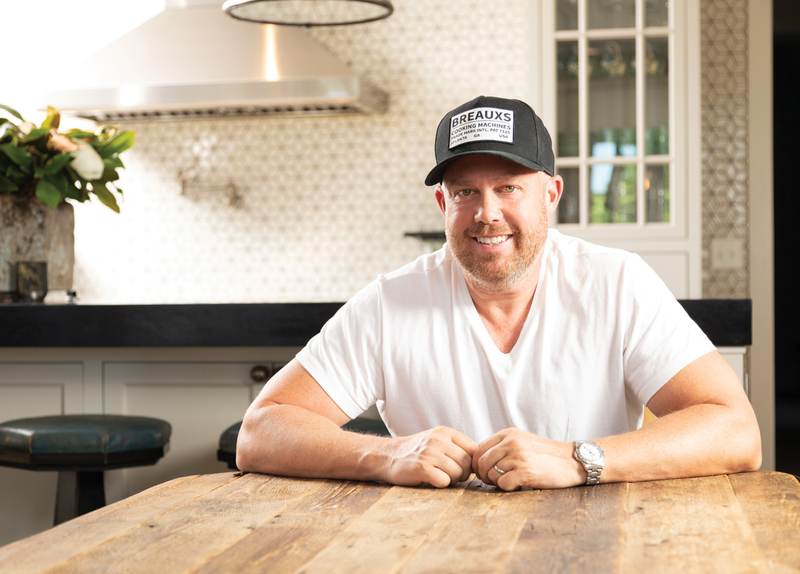 “The kitchen at our old house was terrible,” jokes Fry, who also admits he hasn’t had much time to cook at home while building an empire of 13 restaurants and counting (including the Optimist, St. Cecilia, and JCT Kitchen & Bar), with casual Tex-Mex spot Little Rey in Morningside and four concepts in Nashville slated to open in 2019. Working with Smith Hanes Studio, which also designed several of his restaurants, Fry now has his dream kitchen: an airy, double-sided space outfitted with a Blue Star Platinum Series range, Wolf built-in coffee maker, Sub-Zero underground ice maker, an indoor Grillworks built into an interior chimney, two dishwashers, and a large island with plenty of space for food prep and entertaining. Interior designer Elizabeth Ingram filled the space with farmhouse chic touches, including neutral tone-on-tone trim accented by details like custom-made blue leather bar stools and a Heath tile backsplash inspired by a similar pattern at the upscale San Francisco eatery, Locanda. 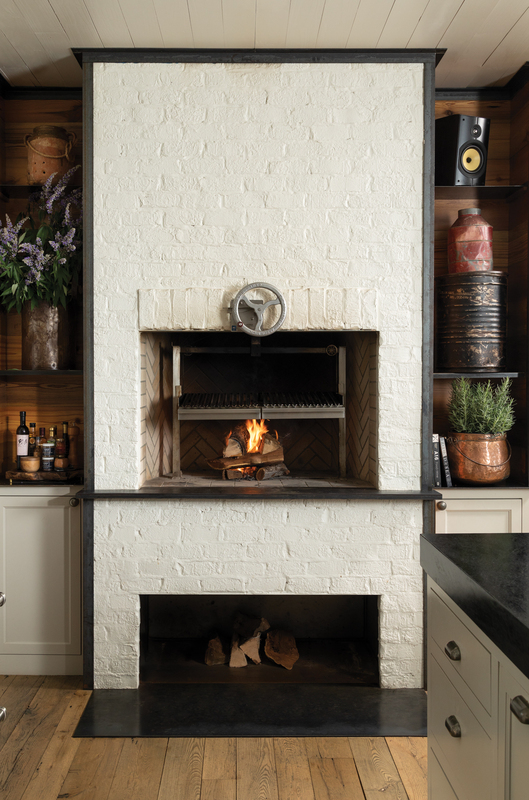 Ford loves cooking over an open flame, so he had this stainless steel Grillworks grill built into the chimney. I don’t want to be getting up and down all through dinner cooking course after course. I love making a paella in the wood hearth paired with a perfect green salad with whatever lettuces and herbs I can find at the weekend farmers markets. Willie Nelson’s God’s Problem Child on vinyl. There’s something amazing when an 84-year-old can make an album just as good as his first. Can I get two? I’ve been working on a Tex-Mex book, and my Vita-Prep has gotten a workout. Also, my Blue Star Platinum Series is just as powerful as the ranges at our restaurants. Most home ranges just can’t keep up. as to why they grew apart. A slightly chilled, slightly effervescent Lambrusco. Kind of like a big-boy wine cooler.